Phantom Chlorite Quartz amplifies the purifying, detoxifying properties of the Chlorite making it one of the best crystals to use for physical cleansing. It is a great piece to use when there is excessive anger or frustration. 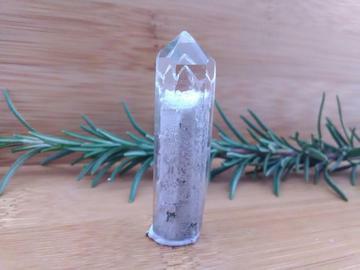 Chlorite Quartz will help the heart and remove blockages and resistance that will allow to acknowledge, forgive, release, and move forward.